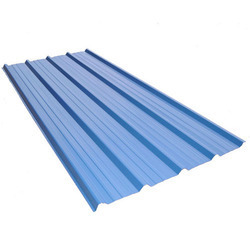 These Metal Roofing Profile Sheet are widely available in various specifications and dimensions. Lloydeck system utilises large quantity of self-drilling self tapping fasteners and there are many type of screws available from various manufacturers. Careful selection of screws is very important for roofing, since any weakness or proneness to corrosion of these items can cause complete breakdown of the system. - Metal Panels are one of the most attractive features of a Metal Building System. “Panel refers to the metal skin used as roof and wall panels, interior roof and wall liners, partition panels, Facia Panels, Soffit Panels, etc. 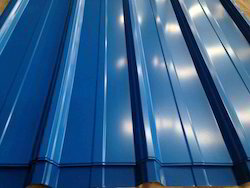 We offers NEW BUILDINGS – Concept, detail design, manufacture, supply & erection using latest Star Steel Profiles for colour coated metal roofing and side wall cladding with support products like: Louvers, Roof Ventilators, Gutter, Flashing, Ridges, etc.